From Goodreads.com: Detective Tracy Crosswhite has a skill, and a soft spot, for tackling unsolved crimes. Having lost her own sister to murder at a young age, Tracy has dedicated her career to bringing justice and closure to the families and friends of victims of crime. This is the third book in the Tracy Crosswhite series, however it is a stand-alone novel that can be read prior to the other two. Although - if you do read this before My Sister's Grave and Her Final Breath - I hope you will enjoy it enough to check out the other two as well. Mr.Dugoni was an author that I had actually never heard of before, but once I read his first novel in this series, I was completely hooked! 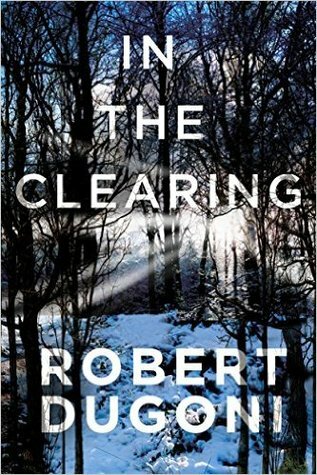 Unlike the first two novels in this series, the plot of In the Clearing seems to take off at once - taking you on an intensified journey that is full of twists, turns and more than a few unexpected surprises. I was utterly amazed at the way Tracy was able to take a file containing information about a supposed suicide that happened forty years prior and still manage to piece together the clues that would lead to ultimately solving what was in fact a murder. Although the story does switch back and forth between present day and when the case originally happened, it was done in such a way that it was not only easy to follow, but that it added to the overall plot instead of taking anything away from it. The characters are what I have come to expect when reading a novel in this series - they are not only complex and well-developed, but for the most part - completely not what you expect. Just the minute you think you have everything figured out, the author manages to throw a surprise twist in the story that no one saw coming! I would definitely recommend this novel and I look forward to reading more of Tracy's adventures!